A British woman told local media she is “very lucky to be alive” after going over the railing on Norwegian Star as the ship made its way from Dubrovnik, Croatia to Venice, Italy this past weekend. Kay Longstaff, 46, went overboard off the back of the ship after a night of drinking, according to fellow passengers. She was in the water for ten hours, and told a rescuer that she was singing to keep from feeling cold in the sea overnight. Her physical fitness and warm, calm waters also helped in her survival. In a statement, Norwegian Cruise Line said that she was in stable condition and taken ashore to Croatia for additional treatment. A search was launched immediately after the man overboard alert was issued, and the Croatian Coast Guard patrol ship “Cavtat” and a PC-9 search plane were deployed to save Longstaff. The Associated Press reported that the ship was around 60 miles off the coast of Croatia when she fell. She was found swimming in the morning around 1,400 yards from where she plunged overboard. Croatian authorities will be reviewing the CCTV footage from the ship to determine exactly how the woman went overboard and into the water. This rescue comes just two months after a 33 year old man was rescued off the coast of Cuba after plunging off of Norwegian Getaway. He spent 22 hours treading water, and was found by another passing cruise ship in stable condition. 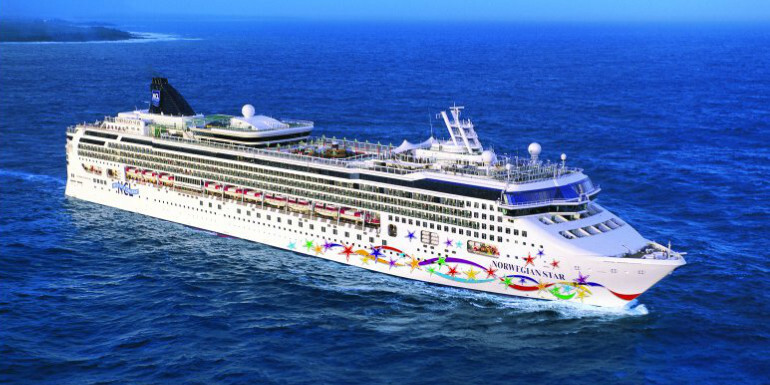 Have you ever sailed Norwegian Star? Major media outlets are not mentioning her "night of drinking", nor are they discussing the fact that it is pretty much impossible to just "fall off" a cruise ship as she has been stating.